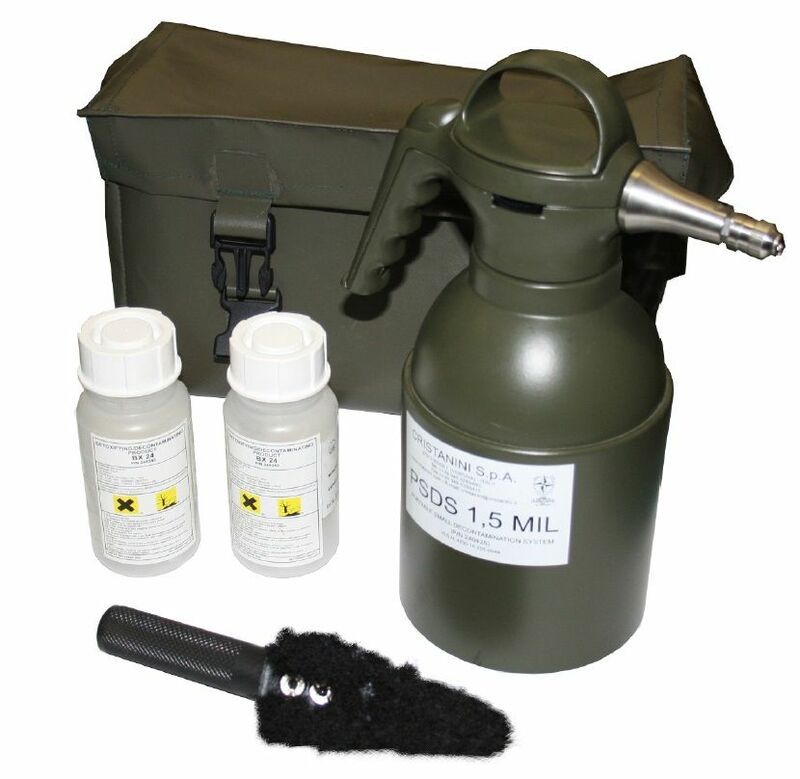 Ruggedized portable small decontamination system for CBRN decontamination and detoxification of persons, vehicles, equipment and terrain. Operational kit to be installed on board of tactical vehicles. 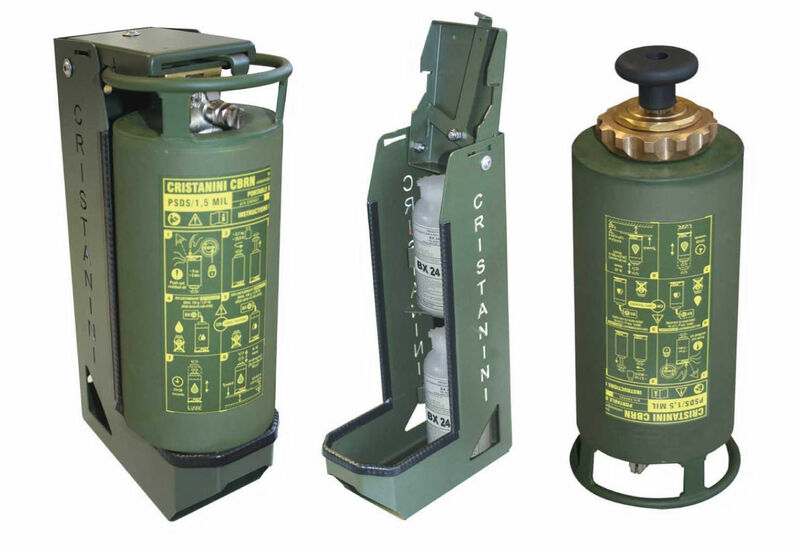 PSDS/1.5 MIL is a small CBRN decontamination equipment for immediate intervention in case of CBRN decontamination /detoxification operations with Cristanini decontaminant/detoxificant product BX 24. 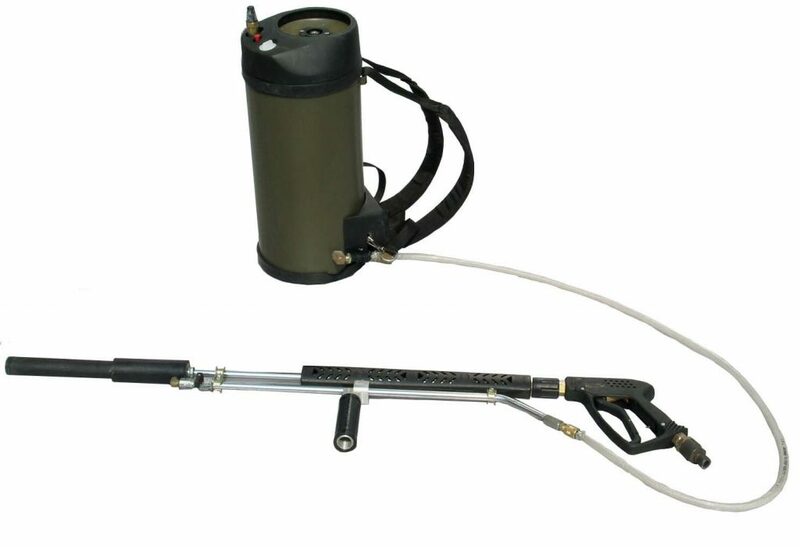 PSDS/1.5 MIL is a hand operated lightweight and easy-to-use equipment. PSDS/1.5 MIL has been specifically designed to be installed on walls or any kind of vehicle using the proper support bracket (optional). PSDS/1.5 MIL can also be used with Cristanini decontaminant product BX 29 (skin compatibility) and Cristanini decontaminant product BX 30 (training version of BX 24). 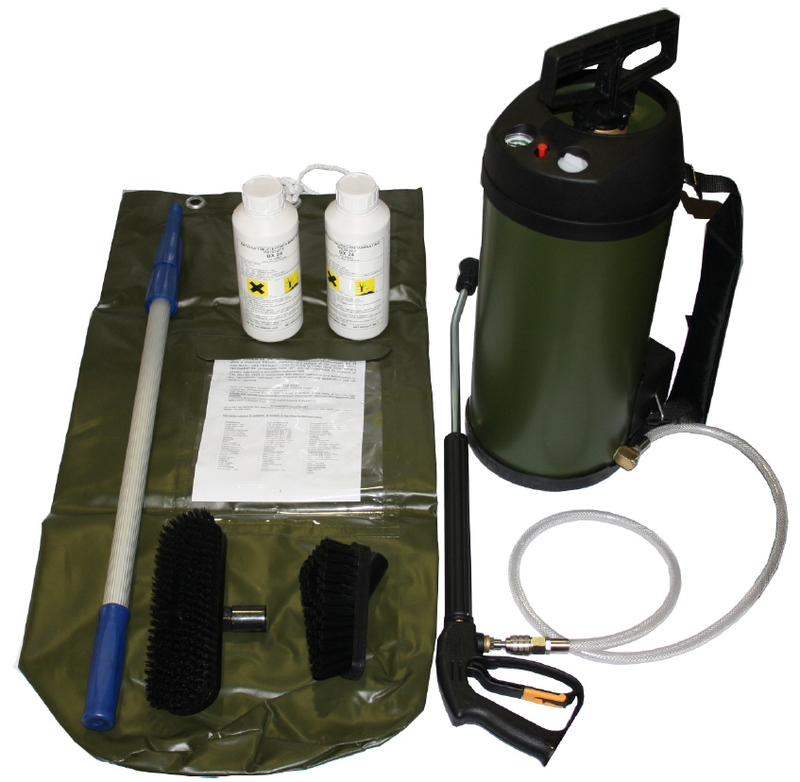 Portable small decontamination system for CBRN decontamination and detoxification of persons, vehicles, equipment and terrain. It has been designed for crew/squad level to be used in association with Cristanini decontaminant/detoxificant product BX24. PSDS/1.5 MIL is small, handheld and lightweight, extremely practical for an immediate small-scale operations. Its refill is quick and simple, being carried out within a couple of minutes. PSDS 1.5 MIL is used from a distance of 0.2-1 meter from the contaminated surface. Portable small decontamination system for CRBN decontamination and detoxification of persons, vehicles, equipment and terrain. PSDS/10 MIL has been designed for crew/squad level to be used in association with our decontaminant / detoxificant product BX 24. PSDS/10MIL provides a fast, safe and efficient answer to carry out unexpected CBRN decontamination/detoxification operations with Cristanini decontaminant / detoxificant product BX 24. Portable radiological & nuclear decontamination system for RN decontamination of aircrafts and helicopters with Cristanini decontaminant product BX40 of aircrafts and helicopters. PRNDS/12MIL has been designed for crew / squad level and it is particularly suitable for the decontamination of aircrafts, vehicles and surfaces in general. PRNDS/12MIL provides a fast, safe and efficient answer to carry out unexpected RN decontamination mission.